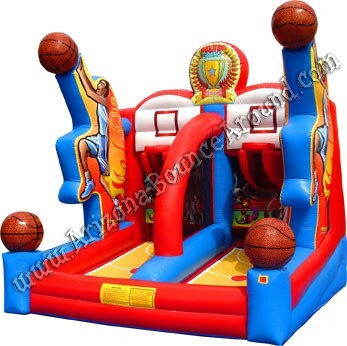 This beautiful inflatable basketball hoop game can handle 2 basketball players at a time and comes with 6 mini basketballs. 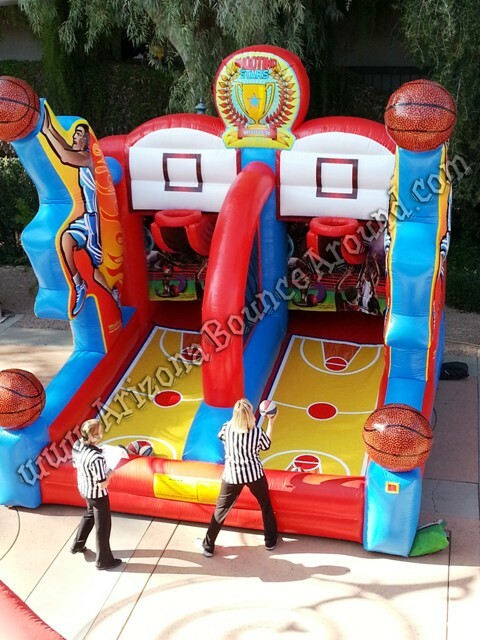 Basketball hoop carnival games are always a big hit and can be used at sports themed parties or company picnics as an activity for kids or adults. Inflatable basketball games can be used as a team building activity or sports challenge as part of an obstacle course or timed course. 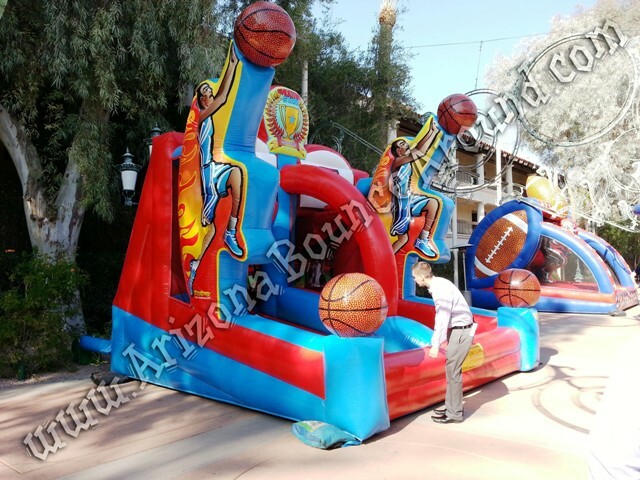 We are your carnival sports game rental superstore serving all of Colorado with basketball games and activities for kids and family events. 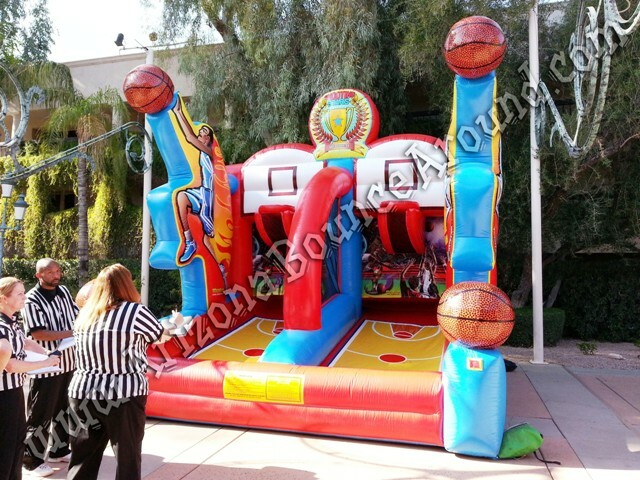 We also rent a smaller version of this game, professional basketball hoop rentals and mini electronic basketball games. Everyone imagines themselves hitting the game winning 3 pointer at the buzzer of the basketball championship, but most people will never truly get the opportunity to do that. 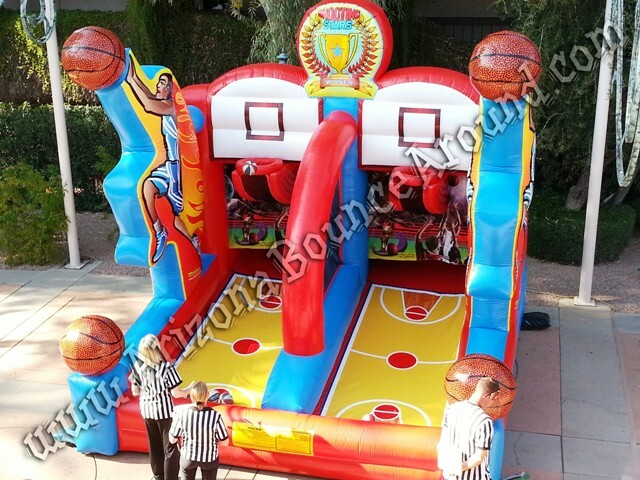 The next best thing is the Gravity Play Events Deluxe Inflatable Basketball Shootout Game featuring 2 inflatable hoops. This basketball game rental is perfect for people to compete and see who has the better jump shot. If you are not trying to compete against people than enjoy being able to shoot on both hoops for fun. Rent this sports game for any event and it is sure to be a hit.